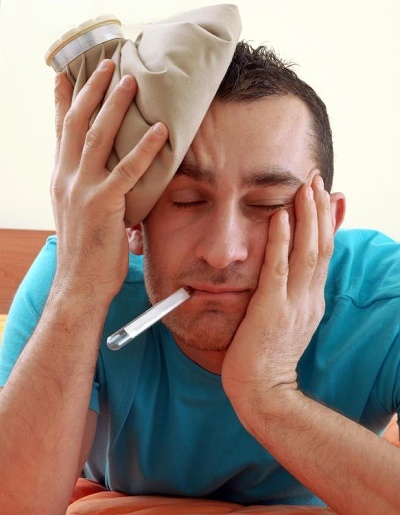 A fever headache usually develops from or with a fever. Fevers usually are a sign of infection somewhere in the body. The best remedy for this type of headache is to handle the infection by reducing the fever. Take the appropriate natural antibiotic such as garlic or thyme. The herb, feverfew, is good to take for fever as its name claims. Apply ice packs and wait for the fever to break. Do not massage the head during fever. After the fever is reduced, if the headache is still present, and the infection is under control, a gentle massage of the head would be appropriate. One of the reasons to not take a massage during a fever or infection, is that massage increases blood flow and may act to intensify the symptoms of the infection.